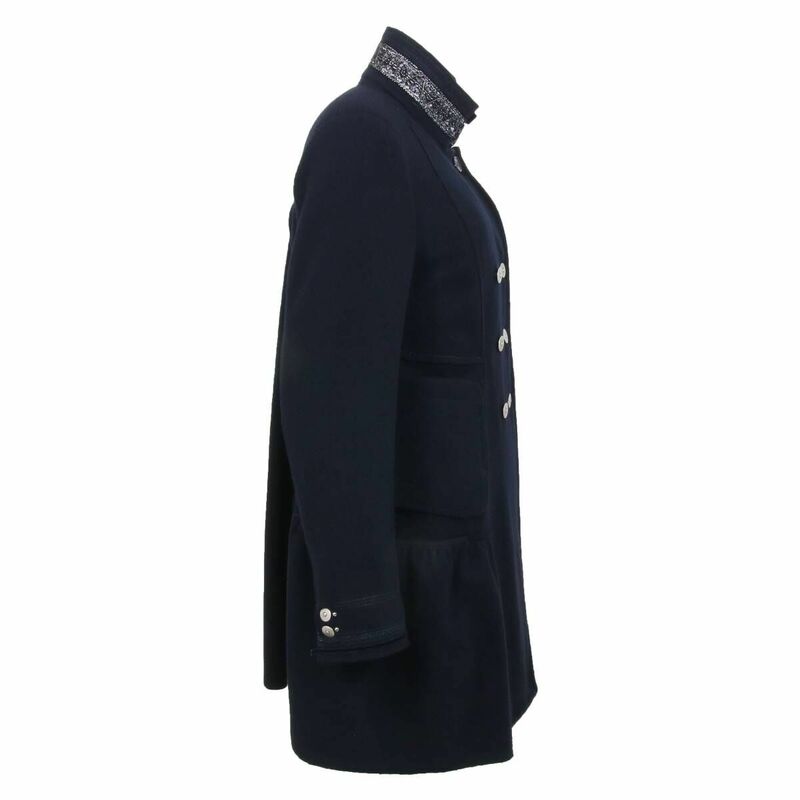 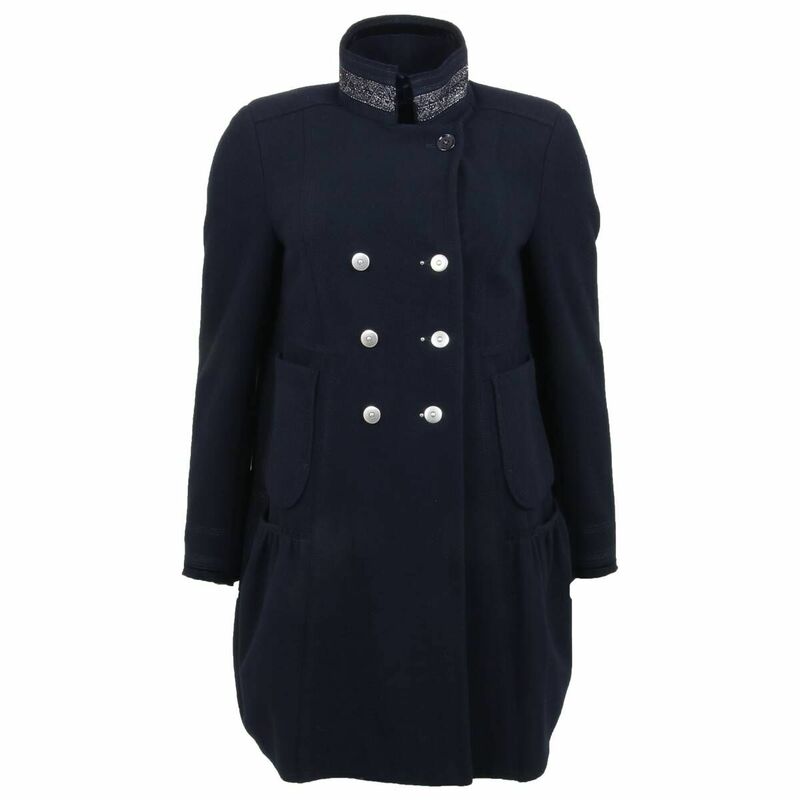 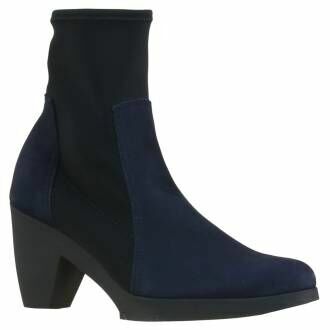 A short double brazzed coat from High in the color navy blue. 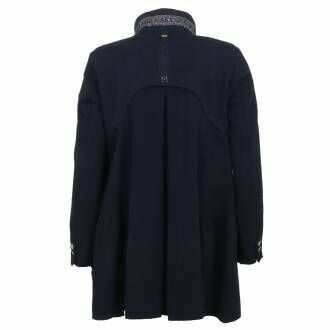 The jacket has 4 pockets at the front of which the edge of the bottom 2 is pleated. In the collar is a wide embroidery band with silver thread. At the end of the sleeves is silver thread stitched and a velvet border in navy blue. This jacket must not be washed.